Face off against old favorites including Bear Hugger, Piston Hurricane, Bald Bull, Mr. Sandman and Super Macho Man plus a cast of new and weird challengers. With a right hook! Body blow! And precise quick jabs! The referee announces "Knock Out!" 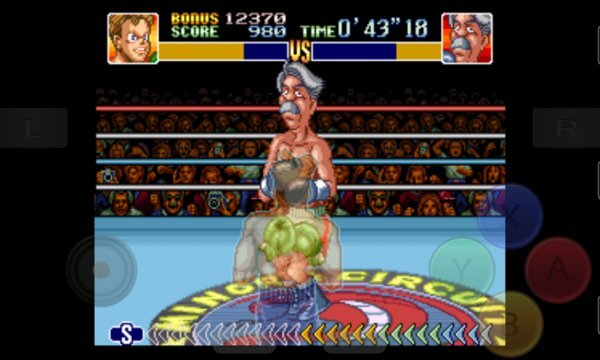 Your opponent lies face down as you win the title of Nintendo Video Boxing Association Champion! - The famous arcade classic features innovative updates for the Super NES. - Challenge sixteen opponents in the Minor, Major, World and Special Circits. score or continue to the top. Battery-backed memory statistics. 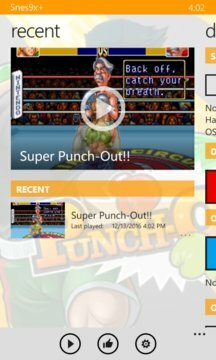 - Spar against favorite foes from the arcade and NES versions as well as new and entertaining opponents. You can download more 100+ roms in this emulator.